(APRIL 2012) Homecoming honors Gospel music and jazz legend, Thomas Dorsey. (APRIL 2012) Sue Buchanan is in the know! And she shares with us the latest scoop about what's going on with fans and our favorite celebrities alike. THE SONG SAYS IT: The story behind the song, "Something Beautiful" by Gloria & Bill Gaither. (APRIL 2012) Former and current “Homecoming Kids” share their thoughts. This month, Callie Phelps interviews Homecoming Kid…LANDON RITCHIE, son of Greg & Charlotte Ritchie. (APRIL 2012) Homecoming artists look back on favorite childhood memories. This month, SOLVEIG LEITHAUG shares cherished memories of her childhood in Norway. Welcome Home: The Battle of the Weeds! 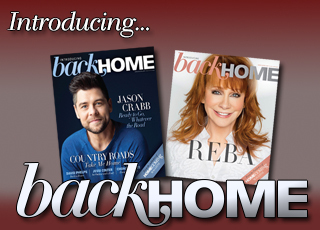 (APRIL 2012) Gloria shares her secrets on how to make your house a home. This month, Gloria shows us easier ways to fight weeds. (APRIL 2012) Tori talks with Lucy Hayes about the Hayes family and the loss of Lucy's beloved husband and music partner of over 50 years, Howard Hayes. KIM HOPPER shares her favorite stir fry. (APRIL 2012) God gives us Eden — room to learn, to discover, to grow, a chance to align our hearts closer to His; He gives us a new start every day. (APRIL 2012) Godwinks sometimes can signal that you will overcome the disheartening situation you’re presently in. (APRIL 2012) We can have courage and be of good cheer because Jesus has overcome the world! (APRIL 2012) The Hoppers release their first ever Hymns collection album.